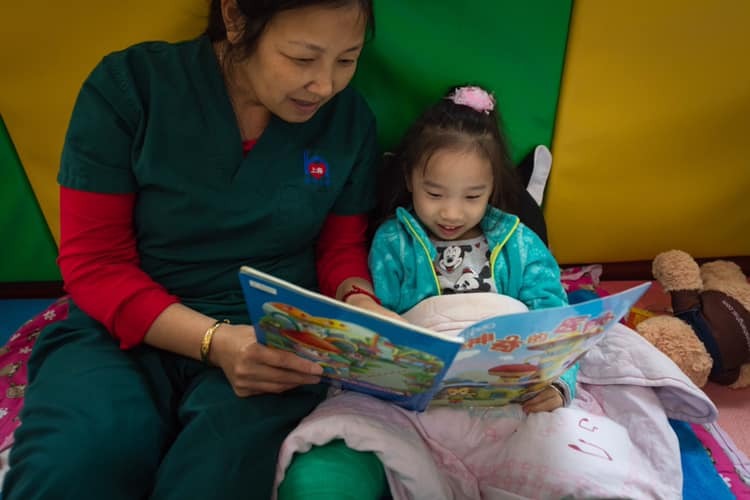 SHH is a non-profit foster home assisting the local Chinese Children‘s Welfare Institutes by providing pre and post-surgical care to abandoned Chinese orphan babies born with surgically correctable deformities. SHH provides a home-like environment that meets our babies’ physical, emotional and developmental needs. The healing home is a loving, safe place where the most vulnerable special needs babies are cared for by trained caregivers and medical staff. These women devote their time to the careful feeding and nurturing of the children, ensuring that they gain the weight needed for their surgeries. We provide care during and after the surgery until each baby is fully recovered. Please come visit us at the Shanghai Healing Home. Schedule an orientation and help us show love to our children in need.